The national drink of India now in convenient pyramid sachets. 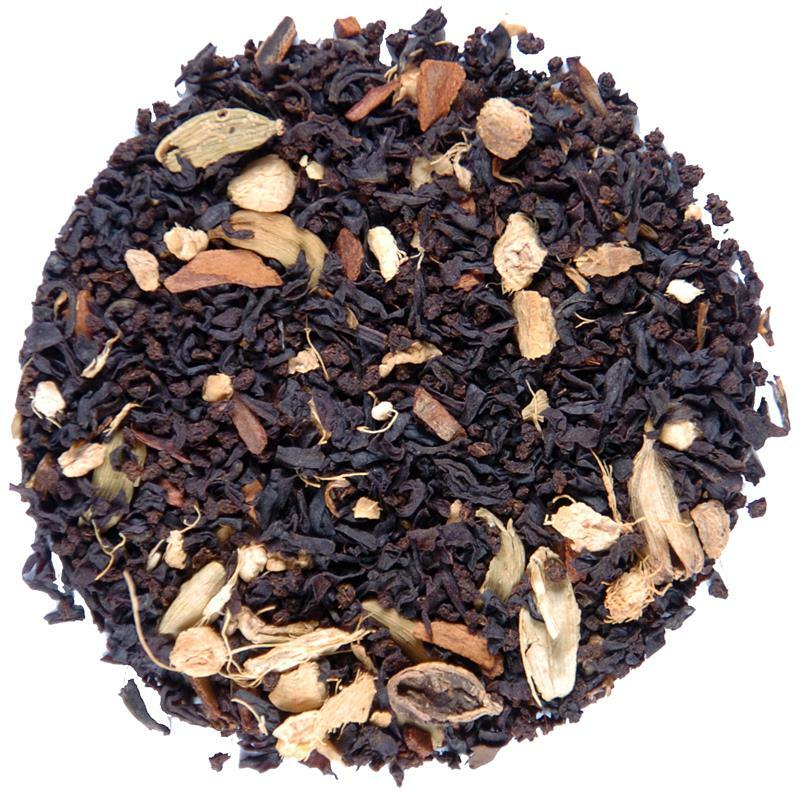 Rich black tea from India blended with the traditional masala spices of cardamom, cinnamon, and ginger. 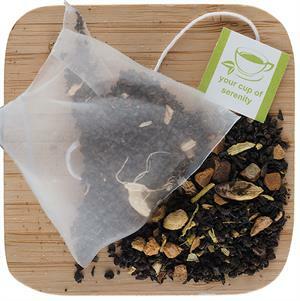 Each bag makes two cups of delicious full strength tea to energize your morning routine. Or enjoy it any time of day. 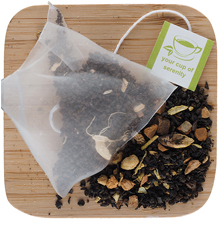 I've been looking for a good Chai tea at a decent price and this is it! 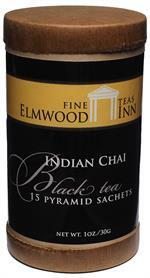 I will definitely purchase again and I'm looking forward to trying other Elmwood Inn flavored teas. Really like chai teas and this one is pretty much the same as the now gone Special Teas, Marsala Tea. 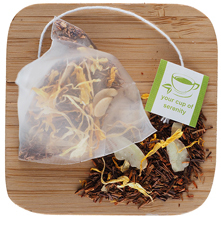 This tea is hard to overbrew and has a mild spicy flavor. This is a very good tea. I gave it 4 stars simply because I don't always enjoy the spices in chai teas as much as other teas. It's quite hearty and makes a good winter brew. 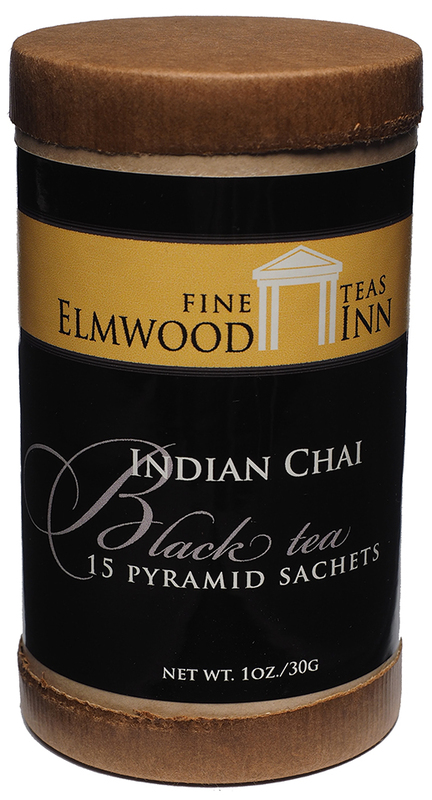 Elmwood Inn's Southern Pecan Black teas is my favorite! 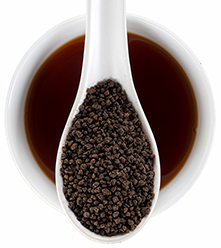 this is a great tea, albeit somewhat mild in taste, you can always add a few cloves to the mix yourself. Simply can't beat the price of $1.50/oz for high-quality Chai.